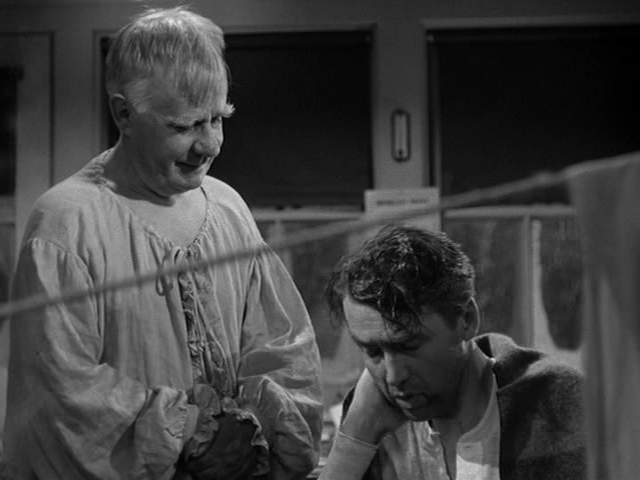 An angel (Henry Travers) helps a suicidal man (Jimmy Stewart) recognize the importance of his life. 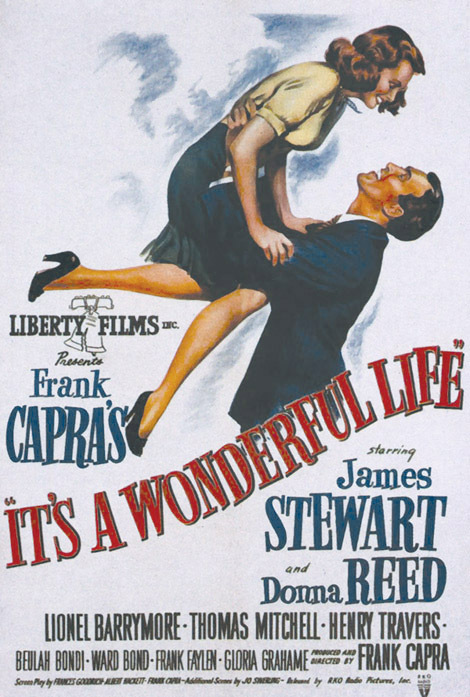 I was pleasantly surprised to revisit this “once neglected” “masterpiece” by Frank Capra, a “Christmas perennial and one of [America’s] most popular films”. 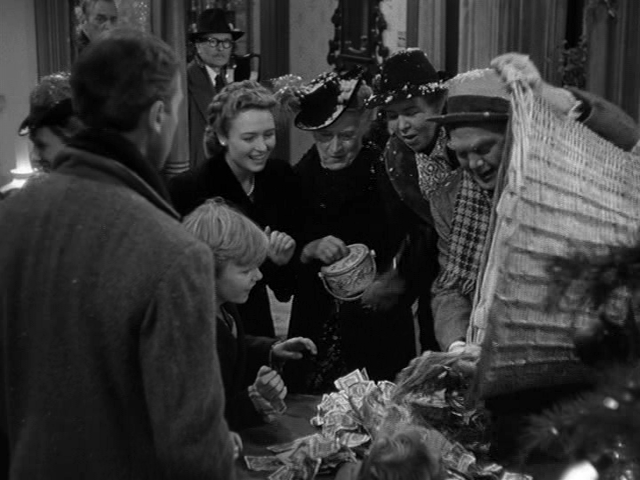 It’s become so entrenched in our collective cultural consciousness as the movie to see on television over the holidays (along with Miracle on 34th Street and, more recently, A Christmas Story) that it’s easy to dismiss it out of hand as merely feel-good populist fare. This couldn’t be farther from the truth. While it’s true that the film is ultimately “reassuring” — the protagonist has “a family who adores [him], a hometown sweetheart who loves and marries [him], a guardian angel… who loves and protects [him], [and] an entire town of people who love [him] and come to [his] aid when [he’s] in trouble” — it’s also surprisingly hard-hitting in its portrayal of a suicidal, embittered man (Stewart yells at his own kids and lashes out physically at neighbors) who’s “at the brink of giving up”. To that end, as Peary notes, this was the film that finally allowed “Stewart to show how great an actor he was, as his character ranges from optimistic hick philosopher to the pessimistic postwar figure he’d play in Vertigo and [various] Anthony Mann westerns”. 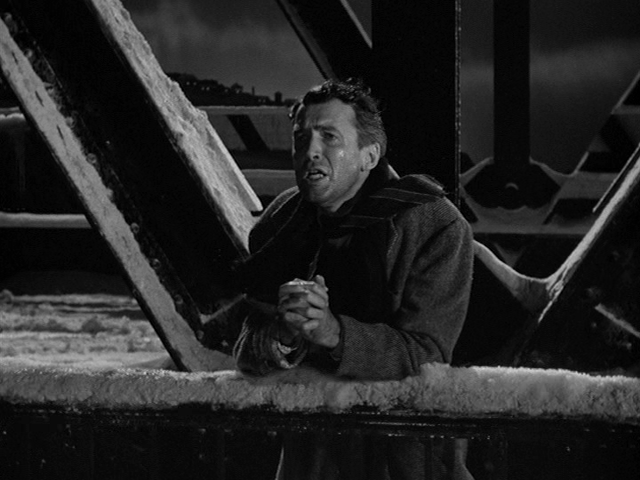 Stewart (who Peary names Best Actor of the Year in his Alternate Oscars book) never shies away from portraying George Bailey as a complex man with unmet needs. He “has sacrificed all his life for others’ happiness and security”, but not selflessly — rather, he fully recognizes that he’s had to give up on his own goal of traveling the world and living a life of adventure and discovery. 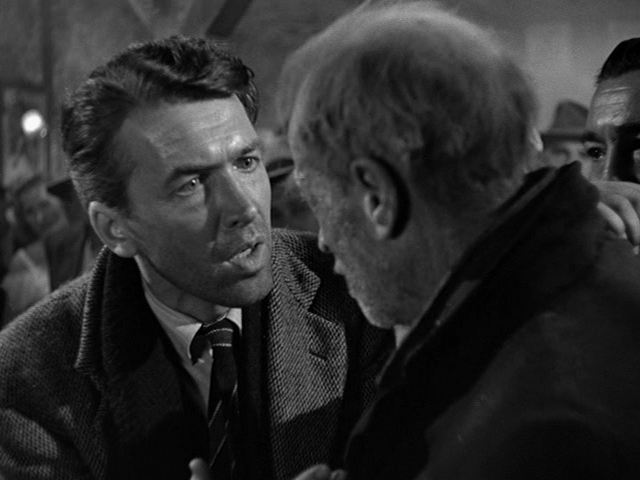 We find our shoulders drooping in empathy as George is foiled time and again from actually leaving Bedford Falls; and yet each time, we understand why he makes the (sacrificial) choice he does. 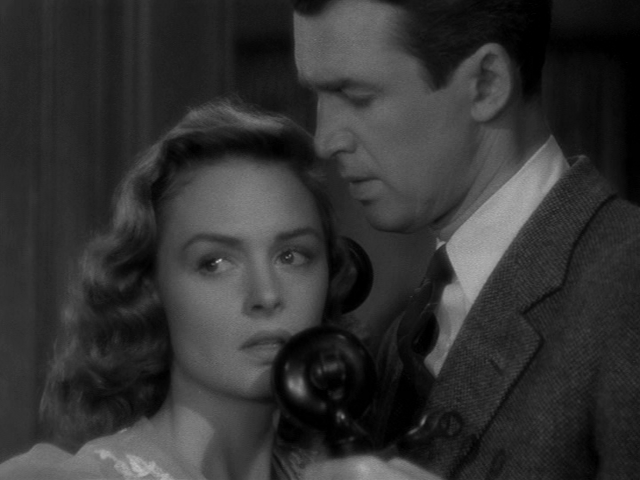 Indeed, as much of a fantasy as It’s a Wonderful Life is, it actually presents a very realistic view of the curveballs life throws out: who among us can’t remember a time when we’ve been forced by circumstances beyond our control (whether money, family, or something else entirely) to make a decision other than the one we most want for ourselves? 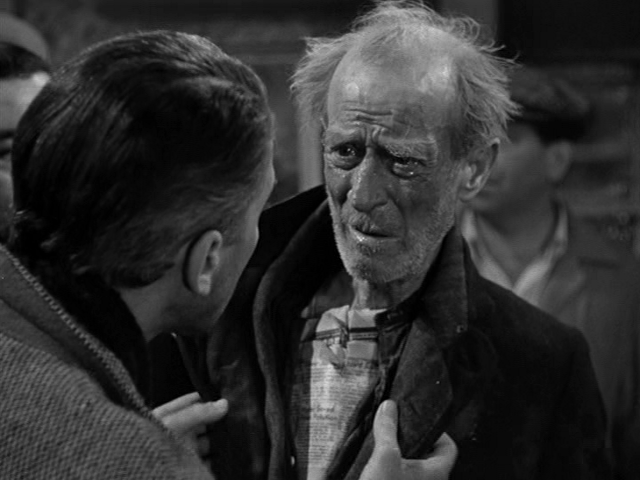 And while it’s true that the “nightmarish sequence” in which George is shown “what a dreadful place Bedford Falls would have been without him” probably isn’t very realistic, it doesn’t need to be: it’s meant simply to help George realize “that every man makes a profound difference, and that a good man… can benefit countless people” in unimaginable ways. Stewart’s performance isn’t the only memorable one on display. 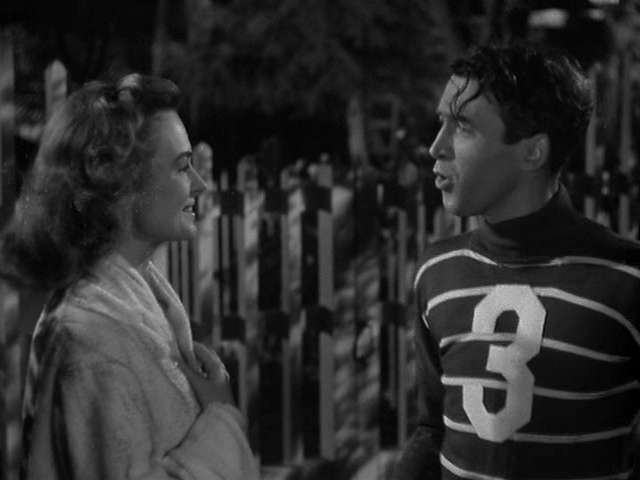 Donna Reed takes the incredibly tricky role of Mary — someone who could easily be portrayed as merely a smalltown “anchor” weighing George down — and turns her into someone we can’t help falling for ourselves; no wonder George decides to settle down and have a family with her. Travers is also “great” in another challenging role; he somehow manages to make us believe that guardian angels might actually exist. 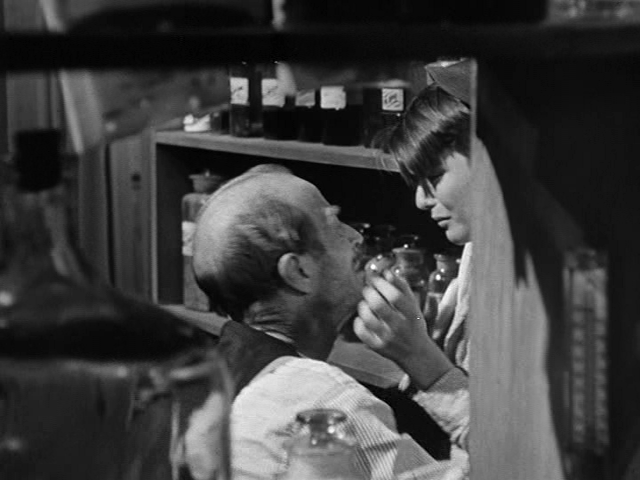 Meanwhile, there really are countless well-written (by Frances Goodrich and Albert Hackett) scenes and sequences scattered throughout the film, too many to name — though I must call out one early scene in particular (in which young George [Bobbie Anderson] prevents his employer [H.B. Warner] from making a fatal mistake while preparing a prescription for a family) as an emotionally loaded favorite. The story neatly builds to its celebrated finale, which is guaranteed to have you all choked up. Indeed, you’ll be surprised by how sincerely effective this notorious “Capra-corn” really is. Yes, as a delightfully enduring classic. 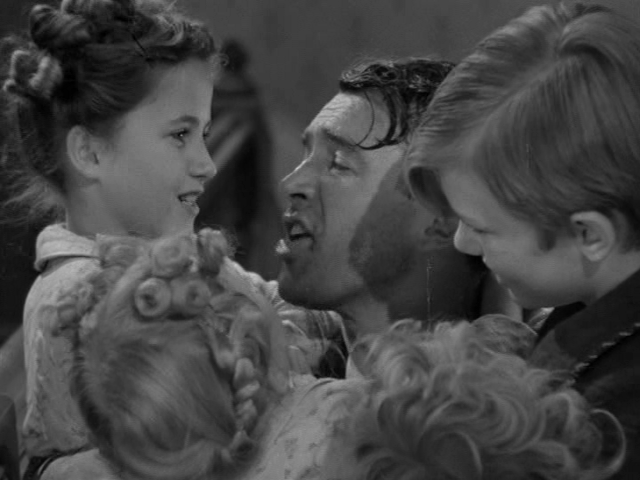 Very few ffs – in fact, very few people who watch movies at all – need to be told that ‘It’s A Wonderful Life’ is must-see. Whether that thought ever occurred to them or not is probably irrelevant since it’s such a perennial and, as a result, I’d bet that a good number of movie watchers have at least stumbled upon it during the holidays. This is a film I’ve seen quite a few times over the years, though not recently until now. I’ve said before that I’m not a huge Capra fan (what I mean is, one way or the other) – but that’s not because of the widely held belief that he is a sentimentalist. 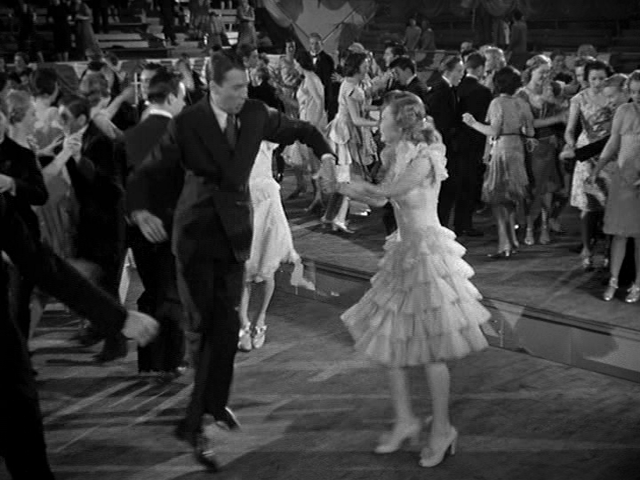 Besides, now that I think about it, I tend to see him as more of a romantic (he was Italian, after all) – and there’s a difference; I don’t think Capra’s films, in general, aim at the tear ducts. They may sometimes end up there, but I don’t see him as a manipulative filmmaker. ‘IAWL’ may seem like a simple film in many ways – but its richness becomes more apparent on repeat viewings. I esp. like the well-thought-out little stories inside the larger one: i.e., the arc of Gloria Grahame’s performance as Violet, and the various stages of her interest in Stewart. It’s somewhat subtle and those scenes come off especially well. Then there’s Stewart: wow! Though not one of my favorite actors, I have always found him to be very ‘present’ on-screen, seemingly incapable of turning in a lazy performance. But in this role he is nothing less than riveting. In the freeze-frame shot (a brilliant choice) in which we first see his character with arms spread wide, we see the seed of very grounded work; Stewart is totally invested in the story ‘he’ is about to tell us. I do seem to gain more respect for certain Capra films as the years pass. Perhaps some of them just get better with age…?